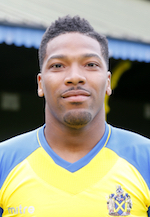 Shaun Lucien is a winger who joined the Saints from Wealdstone FC at the end of May 2016. Shaun started his career at Brentford before moving to Hampton & Richmond Borough, Uxbridge and Harrow Borough. He moved from Harrow Borough to Wealdstone in 2014.